Ravi Kishan Shukla aka Ravi Kishan is a well-known personality in the television world and has acted in various film industries with a notable presence in Bhojpuri films and Hindi film industry. He belongs from Bisuin, a small village on the border of Varanasi, Jaunpur District of Uttar Pradesh. After debuting in Bollywood in the early 1990s, he kept shuffling between films and TV shows in a diverse range of roles. But in the early 2000s, he started his career in Bhojpuri films and went on to become its biggest superstar. Talking about my own experience, I have been watching his films for a while now. But with the arrival of OTT platforms like ZEE5, catching his films online has become really easy. The best part – most of the Bhojpuri films are free to watch online. 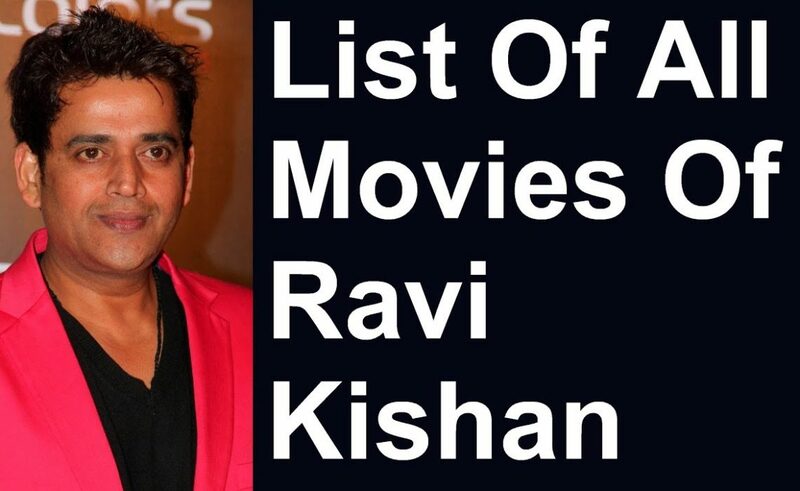 Hence, I thought it would be a good idea to make a list of some of Ravi Kishan’s best Bhojpuri films to watch online. Released in 2010, this Ravi Kishan starrer went on to be one of the biggest hits of the year. Apart from his magnetic screen presence, Ravi Kishan’s chemistry with Rani Chatterjee was one of the biggest highlights of the film. This 2015 action film is everything an action film enthusiast would love. In this film, Ravi Kishan is perfect in the larger-than-life action avatar. Even the lead heroine Monalisa did her part well and became one of the reasons behind the film’s success. Most film industries have shown the Devdas story on-screen and Bhojpuri film industry did it too with Hamar Devdas. Released in 2011, this film had won audience’s hearts with its fantastic performance and great music. Starring Ravi Kishan, Monalisa, Akshara Singh and Umesh Yadav, this multi-starrer film is a complete paisa vasool. Produced by Bollywood actress Priyanka Chopra, Kashi Amarnath was among the top-grossing Bhojpuri films in the year 2017. In the film, we see Ravi Kishan and Nirahua, the two biggest stars of Bhojpuri film industry, act together and giving a powerhouse performance. With a star cast like that, I would recommend you watch this film on ZEE5, where it is currently streaming. Ravi has numerous hits in the year 2011 and it proved out to be the luckiest year for him. This film was among the other hits and starred Rinku Ghosh as the co-leading actor alongside him. Released in 2012, this film was among the many hits in the year that took Ravi Kishan towards superstardom in the Bhojpuri industry. So, if you want to see one of his best performances, you should consider watching this film. Through these films and the numerous ones he has does in Hindi, Tamil, Telugu and Kannada film industries, Ravi Kishan has proved his acting skills across India. So, let us know which of his films are your favourites in the comments. We would love you to know your views. Ravi Kishen is so entertaining. Thank you for sharing this list. I will check the movies out super soon. Though not really into Bhojpuri films, am more familiar with Ravi Kishan because of his Big Boss appearance some years back. Of course, he has done some powerful rules in some Bollywood movies too since then, though he strides the Bhojpuri scene like a colossal. Zee5 has an amazing collection in movies. I haven’t watched any Bhojpuri movies. But I would love to watch them . Thanks for sharing. I quite like Ravi Kishan as an actor and I feel he should not restrict himself to the regional cinema only. He is a fabulous actor. I think I would like his film Kashi Amarnath a lot. Honestly saying, I am not a big fan of Bhojpuri films, but these look interesting for sure, thank you for sharing this beautiful blog, I genuinely feel should have included Lucknow Central too in this list, I love his performance in that movie. Zee5 has really some good shows and movies. Good to know about Ravi kishan movies. I have not watched these. Will surely check them out.